Those natives, who have most effective points of the ascendant around the stationary degrees or have any natal planets at these degrees, in the odd signs (Aries, Gemini, Leo, Libra, Sagittarius and Aquarius) will have to be not only be careful but also diligently perform the astral remedies for sailing through this time with less difficulty. From April 2019 through most of October 2019, Saturn will come under the close conjunction with the Rahu/Ketu axis. This spell will be unfavorable for the general and particular significations of Saturn. Difficulties will be more for those born in the ascending signs of Cancer, Virgo, Pisces, Taurus and Capricorn. For Aries ascendant Rahu will be in the third house while Ketu is in the ninth house. These natives will have a lot of initiative throughout the period. Some stress can be seen when the Sun is in the signs of Virgo, Scorpio and Pisces. During the period from April, 2019 through most of October 2019 there can be prolonged concerns on the income front and professional matters will remain sluggish. For the Taurus ascendant Ketu is in the eighth house while Rahu is in the second house. Ketu will try to disturb one’s mental peace and cause some financial concerns. Rahu will somehow or the other try to keep the social position intact. Some stress can be seen when the Sun is in the signs of Libra, Sagittarius and Aries. The period from April 2019 through most of October 2019 can cause sudden, insurmountable hurdles in professional matters and death like sufferings. 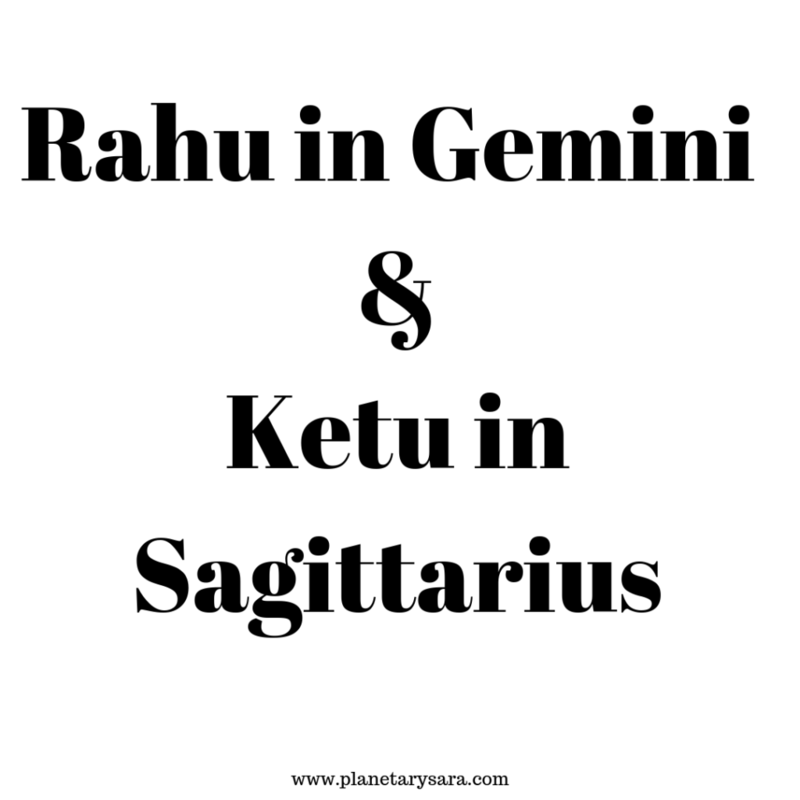 Rahu in the ascendant gives a lot of extra energy, enthusiasm and ambition to the natives born in Gemini. The influence of Ketu can cause worries on account of the health of spouse, behavior of business partners and friends. Some stress can be seen when the Sun is in the signs of Scorpio, Capricorn and Taurus. The period from April 2019 through most of October 2019 could cause prolonged worries on account of health of parents. These natives may find some obstructions in their efforts but things will work out to a large extent. Both Rahu and Ketu will be placed in malefic houses. The influences will be unfavorable throughout the year. The special stress will be when the Sun is in Gemini, Sagittarius and Aquarius. Rahu will spoil relationships, mental peace, may cause loss of assets and involve one in superfluous expenses. The period from April 2019 through most of October 2019 could involve one in prolonged litigations, critical illnesses and death like sufferings. Ketu may cause a malefic impact on the health and give sudden shocks. Rahu will be in the eleventh house and Ketu in the fifth house. 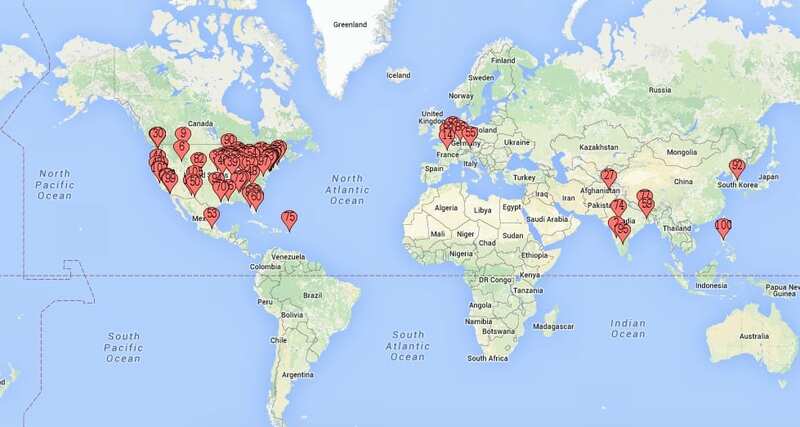 This gives extra income, new friendships, pleasure trips and excursions. Ketu’s placement may cause health problems when the Sun is in the sign of Capricorn, Pisces and Cancer. One should take special precaution in the matters of partnerships, health of spouse, emotional relationships and making long term decisions, like moving to a foreign land, from April 2019 through most of October 2019. Rahu will be in the tenth house while Ketu is in the fourth house. Jupiter’s good placement is insurance for the matters of the fourth house. Rahu’s placement may cause some worries when (1) Venus is in Aquarius, Aries and Leo; and (2) when the Sun is in Libra and Aquarius. Rahu may also cause uncertainties in the matter of profession besides causing health concerns. Especially the period from April, 2019 through most of October, 2019 can involve one in sudden and prolonged health concerns, litigations, and property matters disturbing the mental peace. Rahu will be in the ninth house while Ketu is in the third house. If you do not venture into new areas, the trouble remains less. You should be watchful of your health when Venus is in Virgo, Pisces and Taurus. Being well placed, Rahu gives a boost to the results with respect to investments, kids, religious initiatives and makes you ambitious. But you must exercise caution from April 2019 through most of October 2019 in the matters of investments, health and children. Rahu will be in the eighth house while Ketu is in the second house. A well placed Ketu, when away from the ascending degree, will not cause much trouble. Rahu’s aspect to the fourth house may disturb the mental peace, cause distress in the family and trouble in property matters especially during the period from April 2019 through most of October 2019. Things will generally remain under control except when the Sun is in Libra, Aries and Gemini. Rahu will be in the seventh house while Ketu is in the ascendant. This does not augur well for the health and relationships especially when they become stationary near the ascending degree (the most effective point). The situation is controlled to some extent by the presence of Saturn and Jupiter in the ascendant for the most part of this transit. One has to remain cautious when the Sun is in Scorpio, Taurus and Cancer. One would be better off by deferring any new initiatives or business expansion plans from April 2019 through most of October 2019 as it could involve one in prolonged delays, cost overruns and indicate setbacks. Rahu will be in the sixth house while Ketu is in the twelfth house. Both the planets are badly placed and threaten financial stability, losses on account of disputes, wasteful expenses, over indulgence in carnal pleasures and intoxication, etc. The natives become vulnerable to prolonged chronic diseases. Special periods to be watched are when the Sun is in Sagittarius and Gemini. The time spell from April 2019 through most of October 2019 needs special precautions in the matters of family cohesiveness, professional status, controversies, legal penalties and those settled abroad become particularly vulnerable. Rahu will be in the fifth house while Ketu is in the eleventh house. Rahu gives a lot of indulgence in the materialistic pursuits while Ketu’s placement curtails the social circle and financial gains. Special care needs to be taken in the areas of health and professional spheres from April 2019 through most of October 2019 as one may get involved in controversies and prolonged health concerns. Things will generally work well except when the Sun is in Cancer, Virgo and Capricorn. Rahu will be in the fourth house while Ketu is in the tenth house. The strong position of Jupiter does not allow Ketu to do much harm. Rahu involves the natives in more materialistic pursuits. Health may cause concern when the Sun is in the signs of Libra and Aquarius. Extra care needs to be taken in the areas of speculative investments, business with distant places and health from April 2019 through most of October 2019 as it is indicative of financial setbacks and one may get involved in legal penalties.